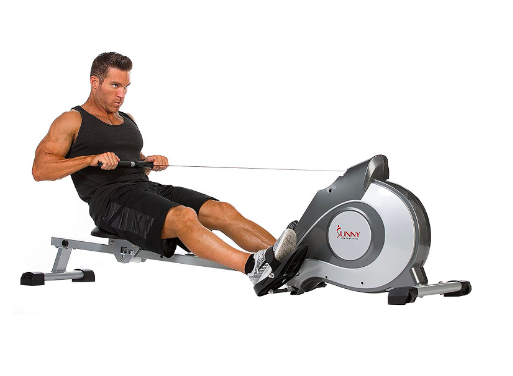 Get ready to finally tone up and get in great shape with a home rowing machine. 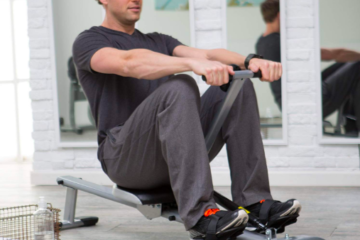 After looking at dozens of products and trying out multiple models, we found that the Concept2 Model D has a great design that is suitable for many users. 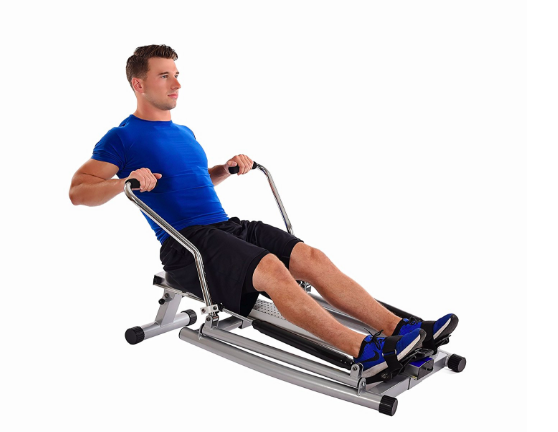 With a higher weight capacity than other machines, this is one of the few that you can use when you first start out and after you gain more experience and lose more weight. One of the only commercial-grade models that you can buy and use in your home is the Concept2 Model D. With a performance monitor that tracks your progress and provides you with real time updates, you’ll always know where you are and how much further you have to go. It also has a compact design and folds almost flat for storing. Get the lowdown on the Model D and find out how it will work for you. The biggest feature that sets this apart from all other models is the performance monitor on the front. This monitor comes with a backlit display for keeping an eye on your progress when you have less light available, and the monitor is USB compatible for using it with any other device Real time updates ensure that you always know everything you need to know about your workout. We also love just how quickly and easily you can store the Model D. It breaks apart into two separate pieces that take up less space than the entire machine does, but you can also fold it flat before putting the machine away. Caster wheels help you move the machine anywhere, too. Designed to fit users of all sizes, the Model D is one that will work with you on your weight loss journey. It supports users of up to 500 pounds and comes with a seat with extra padding. With an adjustable and ergonomic design, this model lets you change the seat and other features as you lose weight and get in shape. 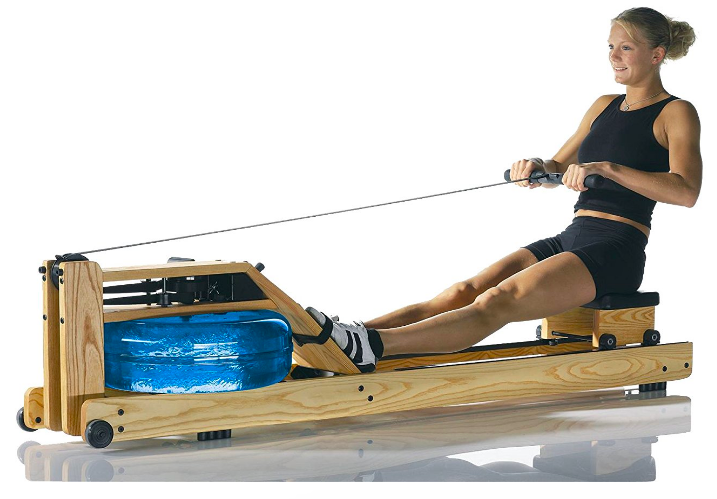 This is one of the more reliable rowing machines on the market today. The two-year limited warranty covers most parts, but it comes with a five-year warranty on its frame. Some customers did find that it had some cosmetic flaws and damages when it arrived though, but there aren’t any complaints about its reliability. The one thing that turns users off about exercise equipment is the cost of new products, but the Concept2 Model D has a fairly affordable price. It comes loaded with features found on machines in the $2,000 range but gives you access to all those features without spending more than $1,000 on a machine. This model is a solid choice for those who are overweight and want to get in shape without hitting the gym. It works in the same way that gym machines do but lets you enjoy the convenience of working out at home. You can target your lower body, upper body or both as you exercise. We highly recommend the Model D for those who want to monitor their progress too because of the efficient performance monitor that comes with it. This monitor is compatible with USB devices like a heart monitor that helps you keep track of your heart rate. 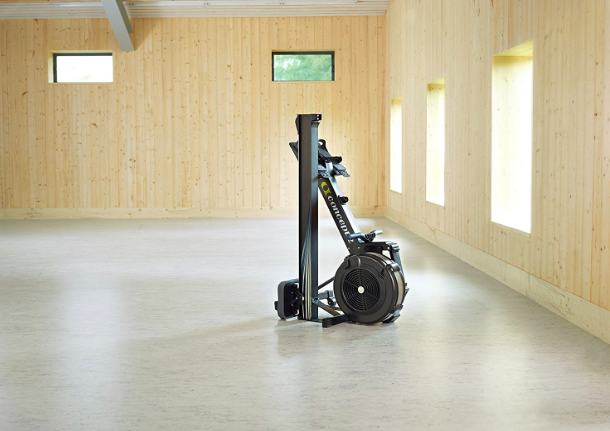 Suitable for those weighing up to 500 pounds, this Concept2 model is suitable for shared homes too where one or more users want to use the same machine. We never recommend products based on cost alone because we know shoppers want information about top features and reliability. 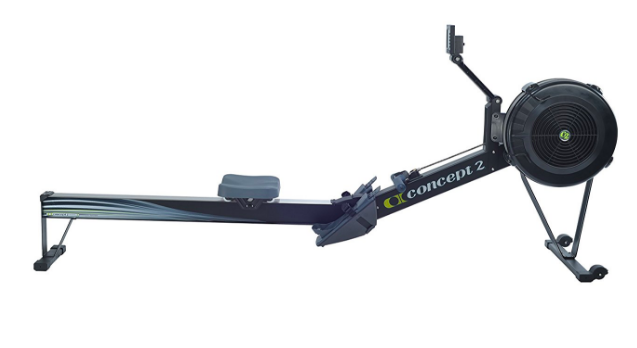 While this Concept2 model does cost more than some of the other rowers that you’ll find, it’s one of the top choices for those hoping to spend $1,000 or less on a new machine. The only issues with this product is that it may come with some minor flaws and that it takes some time to put it together. All the top features are things that you’ll love like the backlit performance monitor that you can see anytime you workout. This monitor is compatible with heart rate monitors and other devices that use a USB plug or cord and shows you real time information and updates about your workout. 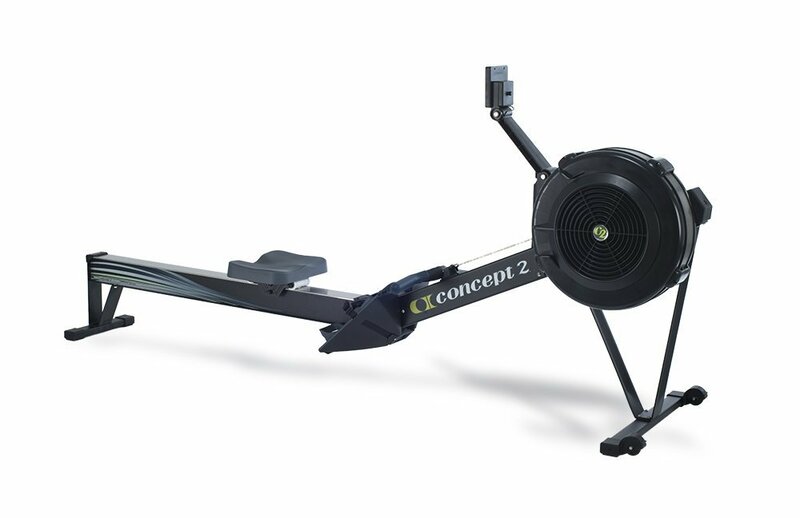 Concept2 makes other rowers, but the best model from this company is the Model D.
Another option in this price range that costs just a little more is the First Degree Viking II. 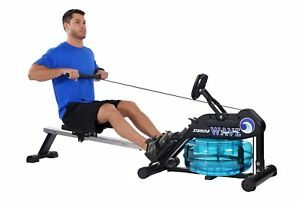 This uses a water flywheel instead of the standard flywheel found on the Concept2, which provides the same level of resistance you would get in the real water. The flywheel runs smoothly and quietly and produces the same noise you would hear when moving your oars through the water. As one of the more durable models on the market, it uses real alpine wood and strong metal parts that won’t break like plastic ones do. 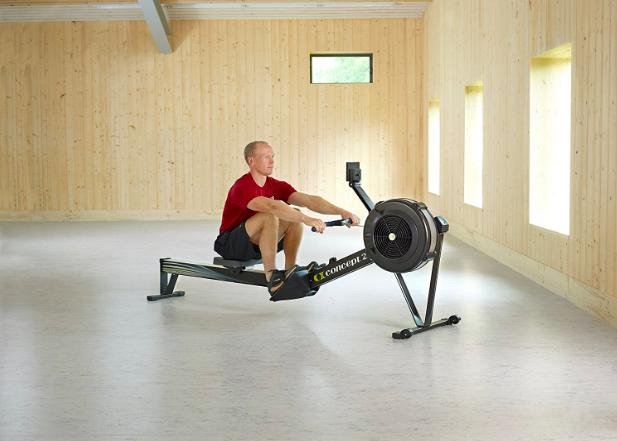 The Viking II gets great reviews from its customers who loved that it recreates the feel of rowing on the open water. 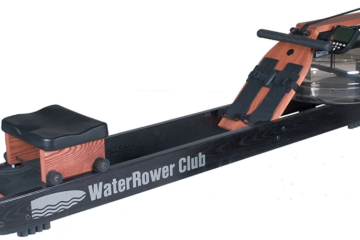 It comes with a water flywheel that gives the same level of resistance you would find while rowing in a boat.